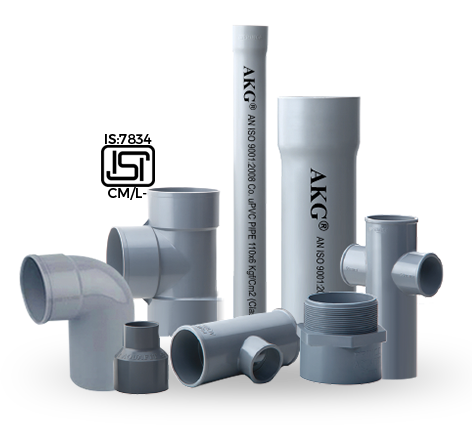 Agricultural Piping Systems | Agricultural Pressure Pipes Manufacturer in India | -AKG Group. Email field is required. Not a valid e-mail address. Please enter only 10 digits. 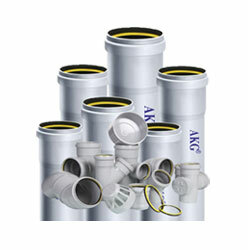 AKG offers an exhaustive range of uPVC pressure pipes & fittings. 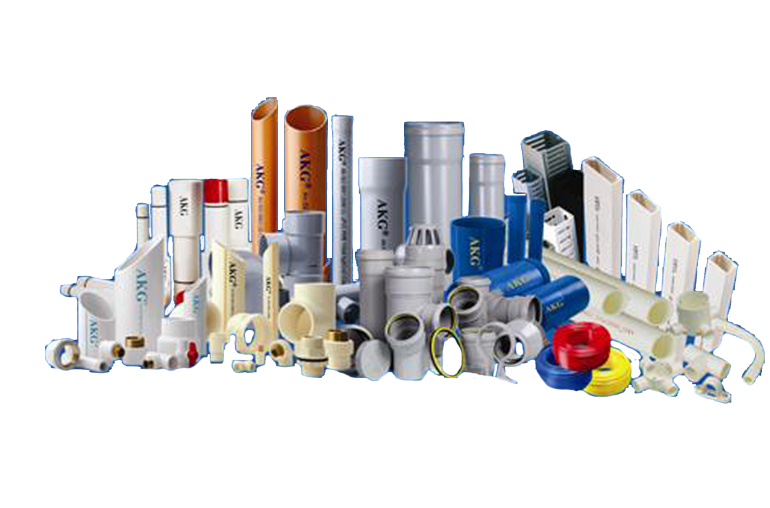 Pressure pipes are manufactured as per IS 4985:2000 standard and are available in 20 mm to 315 mm sizes in different pressure class. 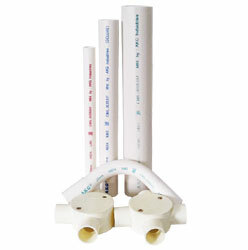 Pipes with both types of joints i.e. solvent cement type and elastomeric rubber seal type joints are available. 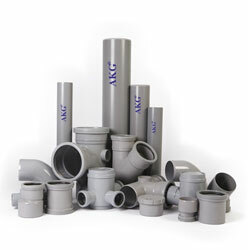 Varieties of moulded fittings and wide range of fabricated fittings are also available. 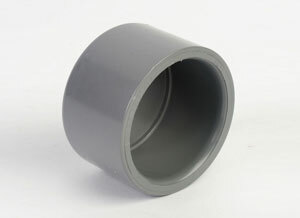 Moulded fittings are manufactured as per IS 7834:1987 These pipes and fittings are used for variety of applications like, agriculture, irrigation, water supply, industrial process lines, swimming pools and fire fighting mains etc. 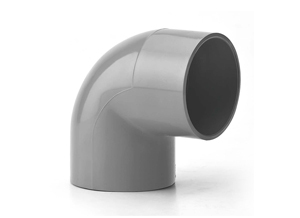 These pipes are superior to C.I , D.I or R.C.C pipes and offers number of advantages like light weight, easy and fast installation, excellent corrosion and chemical resistance, high flow rates, long life and economy. 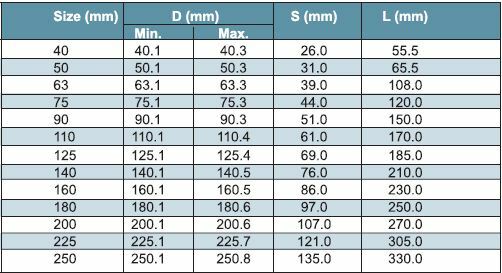 • General Dimensions confirming to IS 7834:1987. 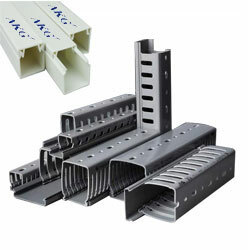 • Wall thickness is designed to meet required working pressure made to close dimensional tolerance. 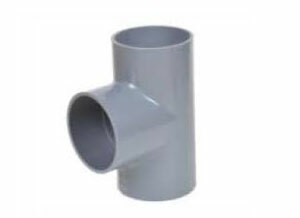 Cut the pipe as square as possible. 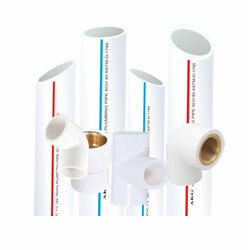 Please ensure that fitment of pipe with socket of fitting is correct. 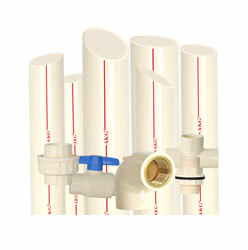 The pipe and the socket should be clean and dry. Dust, oil, water, grease etc. should be wiped out with dry cloth or cleaner from the surfaces to be coated with solvent cement. 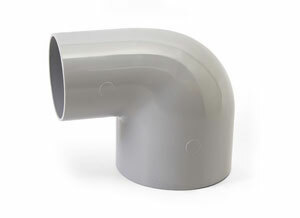 Roughen the outside of the pipe and the inside of the socket using sand paper or piece of hacksaw blade up to the entry mark. 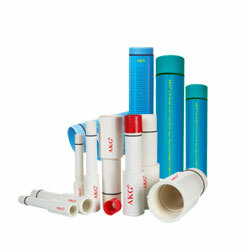 Stir adhesive i.e. solvent cement thoroughly. 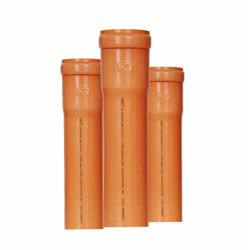 After application of solvent cement, insert the pipe within one minute into the socket. 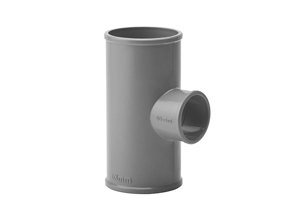 Hold the joint for few seconds and ensure that pipe does not come out of the fitting. Wipe off extra cement. Let it dry. 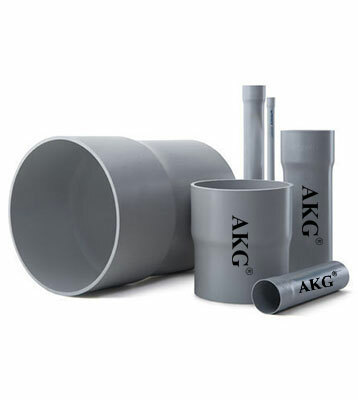 Within 24 hours, your AKG rigid PVC pipes are ready for use. Clean the inside of socket. 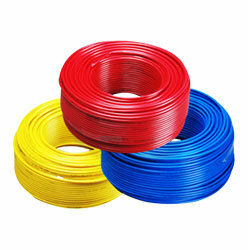 Remove all traces of mud, dirt, grease, gravel and clean elastomeric sealing ring. 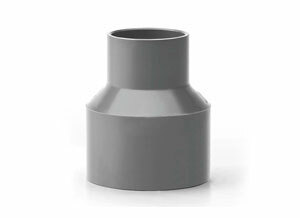 If pipe need to be cut, it should be cut perpendicular to the axis of the pipe. 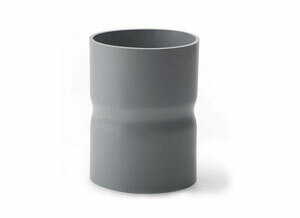 Then it should be chamfered properly. Form the ring into a heart shape by pinching a portion of ring from inside. 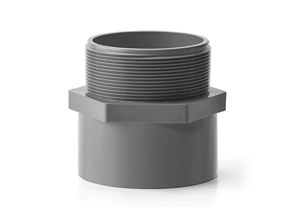 Insert into the socket and release to seat into the groove.